Chinese New Year falls at a different time each year on the Western calendar. 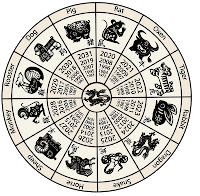 In the 12-year Chinese zodiac, a different spirit animal is honored as are people born under that animal sign (for example, in 2016, 2004, 1992, 1980, 1968, 1956 and on back through the multiples of 12). To celebrate, greet each other with the traditional Chinese New Year blessing "Gung Hay Fat Choy!" Chinese New Year is part of the Spring Festival and ends with the Lantern Festival. Looking for free printable Chinese New Year of the Monkey activities? Here are CNY crafts, coloring pages, greeting cards, Spring Festival lesson plans, Lantern Festival crafts and more. Print Chinese zodiac crafts, animal crafts, party decorations, CNY games and puzzles and lots more. The best place to start is Enchanted Learning for free printable Chinese New Year of the Monkey activities, crafts and more. Enchanted Learning is super-educational with free printable maps, social studies lesson plans, worksheets, mini-booklets to color cut and paste, coloring pages, history activities, animals of the Chinese zodiac crafts, to name a few. How about a free printable coloring book of the 12 animals of the Chinese zodiac along with their Chinese symbol. Animals that represent Chinese New Year are Rat, Ox, Tiger, Rabbit, Ox, Dragon, Snake, Horse, Sheep, Monkey, Rooster, Dog and Pig (in that order). 2017 will by Year of the Rooster, 2018 will be Year of the Dog (and so on).To find out which animal you were born under, count backwards or forwards from the current year or add or subtract multiples of 12. For example, if you were born in 1964, the closest Year of the Monkey is 1968, so count backwards four years to 1964, Year of the Dragon. DL-TK has free printable Chinese New Year of the Monkey activities, monkey crafts, games and CNY lesson plans. Then scamper like a monkey over to Activity Village for a banana tree full of printable Chinese New Year crafts, games, puzzles, Chinese lunar calendars, CNY greeting cards, jigsaw, stories and more. Click to find animal specific activity pages. Here's the Year of the Monkey page with monkey-themed prinatables. And here's the page with free printable Spring Festival and Lantern Festival crafts. Plus, help kids get organized with free printable 2016 animal calendars. 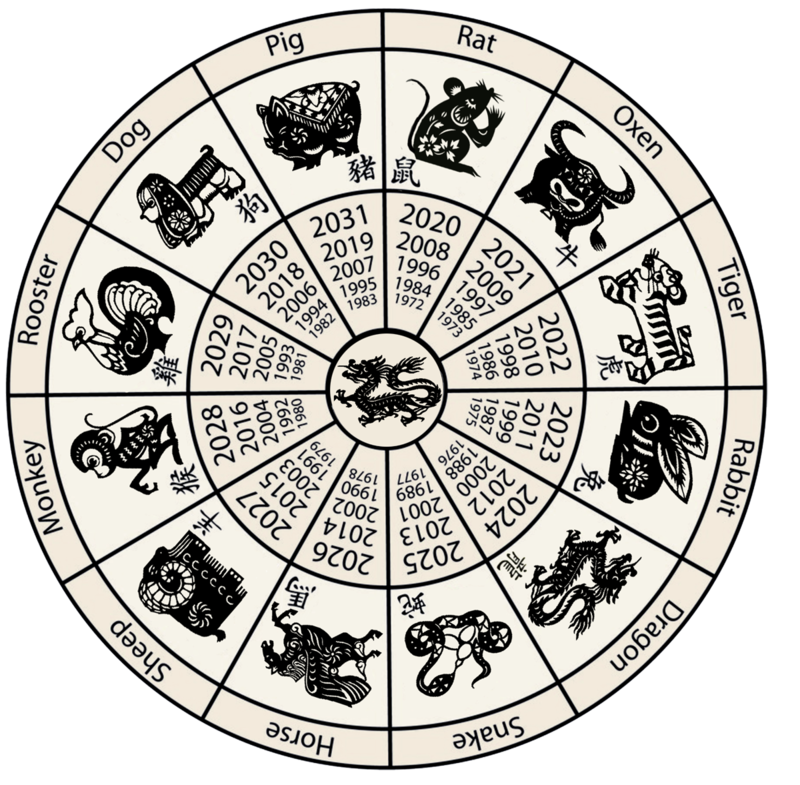 Many of the animals of the Chinese zodiac are featured--mouse (rat), dog, sheep, chick (rooster), rabbit and a mischievious monkey, perfect for Year of the Monkey. And no Chinese New Year is complete with free printable animals masks to monkey around with! The ones from Animal Jr. are totally adorbs! Here are some nifty masks from ancient China to print for CNY. Printables 4 Kids has more cuteChinese New Year coloring pages, zodiac activities, animal masks, monkey crafts and masks and other goodies. For educational Chinese New Year printables, visit Apples 4 the Teacher. There are free printable Chinese New Year coloring pages, including animals of the Chinese zodiac, maps of China and a Chinese flag to color. Learn all about the culture and history of China, the Spring Festival, the Lantern Festival and other Chinese traditions with free printable games, puzzles, worksheets and word searches. Teachers, parents, homeschoolers, religious educators, Sunday school teachers bookmark First-School and visit frequently. For Chinese New Year, First-School has free printable Lantern Festival crafts, Spring Festival activities, Chinese zodiac coloring pages, math games from China, Chinese history and literature lessons and so much more. Activities are geared from preschool to third grade.